Product prices and availability are accurate as of 2019-04-23 00:32:14 EDT and are subject to change. Any price and availability information displayed on http://www.amazon.com/ at the time of purchase will apply to the purchase of this product. 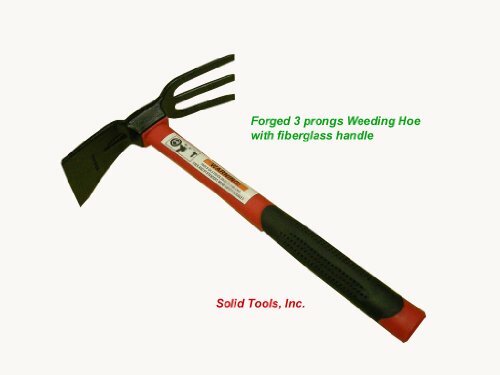 This forged Weeding Hoe-Fork is drop forged from quality carbon steel. Properly heat treated and tempered for maximum strength. Adze Hoe size is 2-3/4" wide,3-1/2"long. With 3 prongs 2-3/4" wide, 4"long. Adze Hoe side is used for digging, grubbing. 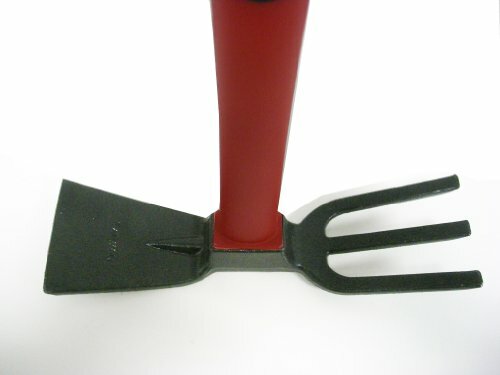 And Fork side can be used as for raking and soil balancing. The unique square eye hole design provides more strength and stability to the tool. 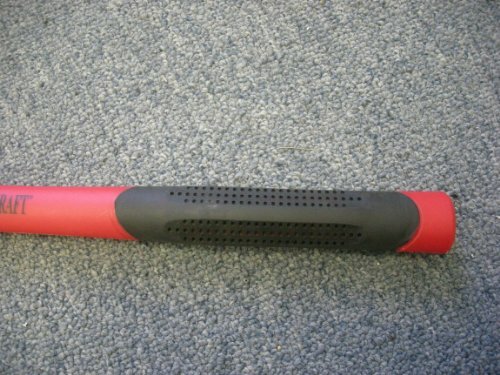 Complete with non-corrosive Fiberglass Handle in eye catching red color, and molded synthetic rubber grip blister proof. Overall length is 14". 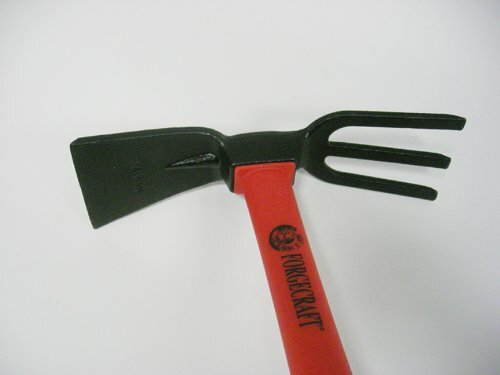 This is a very handy and high quality tool applicable to varieties of jobs-gardening, landscaping, planting, prospecting. MADE IN TAIWAN!